Welcome to South Park Marina! Looking for a trusted boatyard that is secure and delivers top-quality service at a reasonable price? South Park Marina has provided secure moorage for over 30 years. In fact, we are the most reasonably priced moorage and dry boat storage company in the Seattle area. We have moorage, dry boat storage, and transport services that you can rely on. Our professional independent repair services are on site for your convenience. We know how much of a dilemma it is to keep your boats safe and functional, if you can't do the job yourself. South Park Marina can make referrals to our preferred independent service providers to care for your vessel, whatever the need. When it comes to the security of your boats and yachts, contact us! Contact South Park Marina for reliable boatyard services that will give you assurance that your boats and yachts are well cared for. We have a team of independent service providers who will maintain and repair your vessel while you are away. We will make sure that they will be in tip top condition for use anytime! To get an estimate of our services, click here! 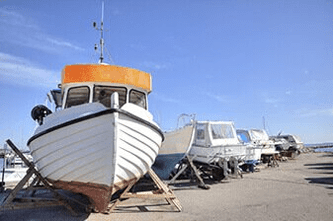 Why should you entrust your boat or yacht to our well-established boatyard? We offer secure moorage and dry boat storage. We have an experienced staff that will haul, wash and block your vessel. We are always changing and upgrading to better serve our customers. Closed on Tuesdays following holidays observed on Mondays.